Christopher Conover founded Hudson Valley Wealth Management — now Hudson Companies — in 2008 to provide families with holistic financial planning, wealth management, and investment services. He also developed the strategy for and functions as the Portfolio Manager of Hudson Private, LP., a proprietary, high return, low risk investment opportunity in funding independent and large studio films. His earlier career experiences at Guardian Life Insurance and Van Eck Global have influenced his views on the value of asset allocation and best of breed asset management. Before founding the financial services and investment management firm more than a decade ago, Chris had been an integral part of the financial community, as a marketer, sales person, executive, and valued speaker at industry conferences both nationwide and abroad. 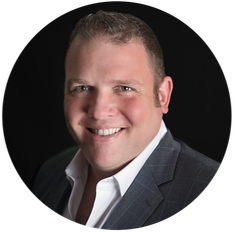 Chris credits that the depth and breadth of his financial knowledge and relationships have earned him the trust and respect of his clients and their families, and their having access to some of the market’s most interesting private investment opportunities. Chris earned a B.A. in Economics, M.B.A. in Finance, and also completed coursework toward a PhD in Behavioral Economics, all at Fordham University. He is an active member of the Producer’s Guild of America, serves on the Nyack Hospital Foundation Board of Directors, the Jawonio Steering Committee, and volunteers for and supports a number of other local and national charities. 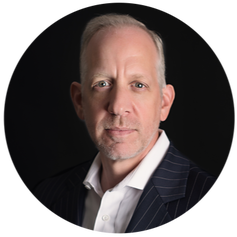 David is a seasoned investment advisor with more than 25 years of industry experience that spans traditional and alternative investments, portfolio management and business development. Prior to joining Hudson, David held senior management positions in both institutional and privately-held asset management organizations including Whitebox Advisors, Finisterre Capital, Van Eck Global, PanAgora Asset Management and Neuberger Berman. His comprehensive experience and expertise encompasses portfolio and risk management, manager and operational due diligence, compliance, legal, finance, operational, IT infrastructure, equity-derivative and fixed-income trading, portfolio system design, and new product development. David has authored articles and spoken at numerous global conferences on a wide variety of topics including alternative investment management, structuring and statistical analysis of multi-manager portfolios. ​David received a B.A. in Government Studies from Wesleyan University and an MBA from the Columbia University Graduate School of Business. As part of our continued expansion at Hudson Companies, we are incredibly excited to announce that Sandra Forman has joined the firm as our General Counsel and Chief Compliance Officer, where she will oversee all legal and compliance related matters. 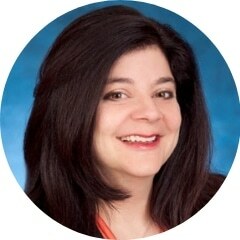 Sandra previously served as Deputy General Counsel and Chief Compliance Officer, Registered Funds, at Colony Capital, Inc., a global real estate asset manager with $43 billion of assets under management. During her time there, she was responsible for legal and compliance issues relating to corporate governance, registered investment advisors, private fund compliance and registered investment companies. Ms. Forman also served as Senior Counsel at Proskauer Rose LLP, where she represented investment companies, including registered closed-end funds and business development companies, REITs and private funds regarding legal, corporate governance and compliance issues. In addition, she served as General Counsel, Chief Compliance Officer and Director of Human Resources and as Secretary of Harris & Harris Group, Inc., a publicly traded venture capital company. 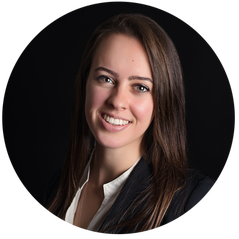 Ms. Forman began her legal career in the Investment Management Group at Skadden, Arps, Slate, Meagher & Flom LLP. She holds a Bachelor of Arts from New York University and a Juris Doctor from the University of California, Los Angeles. She serves on the faculty of the Regulatory Compliance Association, where she lectures on the effective implementation of compliance programs. We are thrilled to have her, and look forward to adding more elite professionals like Sandra to our team in the near future. Stephanie Mechutan has been an integral member of the Hudson Companies team since 2013. 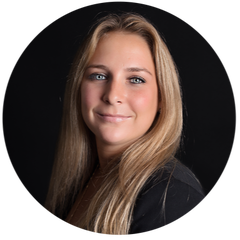 As a Client Service Associate, Stephanie works across our New York based financial services firm in a variety of capacities. She efficiently and effectively manages the opening of new accounts, the transfer of assets from other financial services firms, and the execution of client cash management transactions. Stephanie works to maintain a high standard of compliance within SEC regulations. Finally, Stephanie is helping to drive the firm’s marketing, communications, and social media efforts. Stephanie earned her B.A. in Psychology and Sociology, with a minor in Political Science, from the University of Rhode Island. Lillian Whelan joined the firm in 2017 as a Client Service Associate. In this role, Lilly provides broad based account and administrative support, as well as periodic investment and performance updates. She is an extremely valuable contributor to the firm’s asset allocation, financial planning, and investment management internal processes. Lilly earned her B.S. in Mathematics, with minors in Italian and Classical Culture from St. Bonaventure University, as well as her Masters in Adolescent Math Education from Hunter College. © 2018 Hudson Valley Wealth Management, Inc. (“Hudson Companies”), 15 E Central Ave, Pearl River, NY 10965, phone: (845) 920-1600. The representatives associated with this website may discuss and/or transact securities business only with residents of the following states: NY, NJ, FL, and CT.